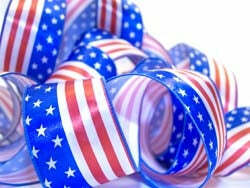 At BB crafts, we offer the best quality flag ribbons that are extremely smooth to touch. These ribbons are created with the use of fine weaving methods in different dimensions. These flag ribbons are easily available with the design on one side. You can easily get these in different sizes. The best time for every girl is the wedding day, and therefore the decorations here should be perfect. If you are also searching to get the best products and supplies for the pre-wedding bachelorâ€™s party decorations, then these ribbons will work best for that purpose. These colorful flag decorations will definitely look amazing at the party and will add up spice to the environment. The best thing for which most of the people love to shop at this website is that we offer all the supplies at the most affordable prices.